great-great-great-great-grandson Sir William de Wessington V in 1399. Unfortunately he did not have a male heir. Manor of Hertford in Yorkshire. (County Durham) from her brother, John, and married Richard Norton of Norton Conyers. Dionisia Tempest inherited Studley Royal and Trefford from her brother William. was indeed a very advantageous marriage for Sir William Mallory. 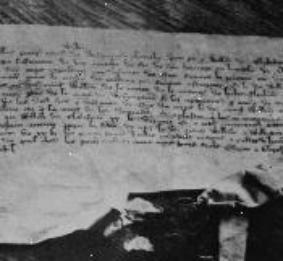 settlement between Sir William de Wessyngton and William de Blaykeston. Eure and great-niece of Anne (Eure) Mallory and Sir John Mallory of Washington Manor. 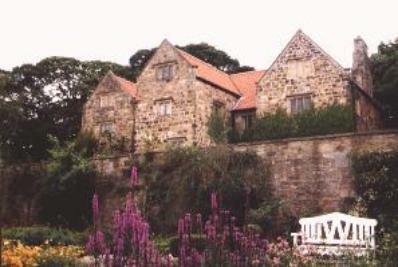 The Blakiston Family sold the Washington Manor to the Bishop of Durham in 1613.
was written in Norman French.